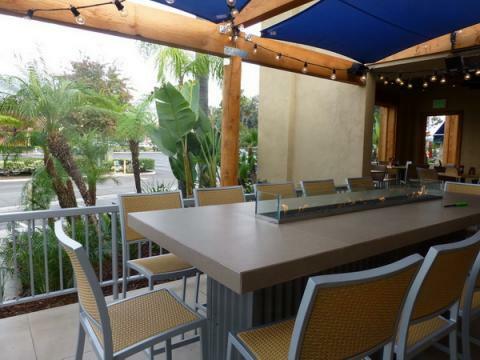 Join us at our Brea Islands Restaurant located off State College Boulevard and Imperial Highway. Catch your favorite team on Islands big TVs with a gourmet burger and local draft beer. The large patio with a firepit table is great for large parties. The best burgers, specialty drinks and cold beer in Brea. Join us for happy hour specials weekdays from 3pm to 6:30pm and for late night happy hour Sun-Thurs from 9pm to close.